Ready to watch Gotham online? We make it very easy at TV Fanatic by hooking you up with various ways in which you can get this job done. Watch Gotham online now. 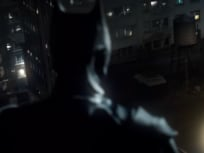 On Gotham Season 5 Episode 11, as Bane enacts his final plan for Gotham’s ultimate destruction, Gordon rallies his former enemies to save the city. On Gotham Season 5 Episode 10, Gordon and Bruce find themselves face-to-face with a newly transformed Eduardo, and discover the real mastermind behind the city’s current chaos. "The Trial of Jim Gordon"
On Gotham Season 5 Episode 9, when Gordon is shot trying to establish a cease-fire, he hallucinates a trial that could have deadly real-life consequences. On Gotham Season 5 Episode 8, Bruce and Alfred explore the tunnels beneath the city, and Penguin and Nygma's escape is thwarted by the least likely of suspects. On Gotham Season 5 Episode 7, Gordon races to uncover the criminal element threatening to end talks of Gotham’s reunification with the mainland. On Gotham Season 5 Episode 6, Gordon assembles an unlikely team to protect Gotham from Eduardo Dorrance and his Delta Force. Barbara has big news. On Gotham Season 5 Episode 4, Gordon and Penguin are forced to work together and alliances are shaken when others have different ideas of who bombed Haven. On Gotham Season 5, Episode 3, with the creation of Haven as a safe place for refugees, Gordon hopes to stop the gang fighting in Gotham. On Gotham Season 5 Episode 2, Gordon and Bullock investigate a location where several kids have been kidnapped. Barbara proves to be an unlikely ally to Gordon. 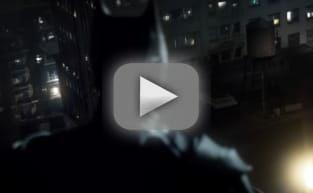 You can quickly and easily watch Gotham online via TV Fanatic. Just select the way in which you want to do so and then sit back and watch over your computer. We make it easy to watch Gotham online very soon after an episode ends, so you can keep up with whatever The Penguin is doing and whatever steps Harvey Bullock and Jim Gordon are taking to bring him down. You don't want to fall behind, do you? So go watch Gotham online and then we'll meet you in the Comments section to discuss all that just went down on this Fox drama. Gotham Season 5 Episode 12: "The Beginning..."